So... I really like Biblestudies....like REALLY. I have therefore compiled some thoughts based on my latest personal studies of the Word. I'd love for you to join me! "In a large house there are articles not only of gold and silver, but also of wood and clay; some are for special purposes and some for common use. Those who cleanse themselves from the latter will be instruments for special purposes, made holy, useful to the Master and prepared to do any good work." Most of us have mentors who inspire us and guide us to where we want to be in life. If not, many of us at least wish we had good mentors. Paul was Timothy's mentor and they had such a close relationship that Paul considered Timothy to be like his son. Timothy's own father was not a Christian, so Timothy really looked to Paul for encouragement in his faith. 2 Timothy 2 is a compilation of advice that all encourages Timothy to be really focused in his faith and dedicated to what God had called him to do. 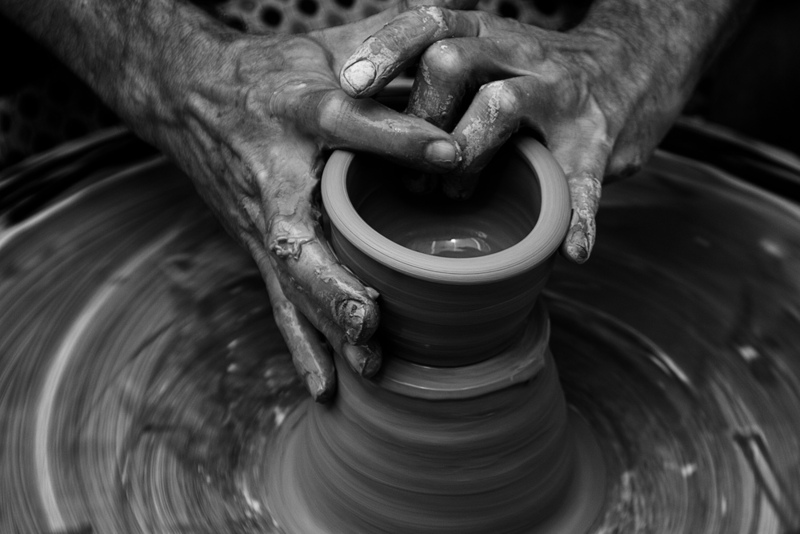 One of the analogies Paul uses is that of a Potter (God) who has created vessels (people). He explains that the vessels gain honour or dishonour linked to their use. He explains that if the vessels are cleansed for an honourable purpose, they become set apart, special or "holy". He encourages us to view ourselves as honourable vessels who are dedicated for God's specific purpose. I love this perspective on holiness. Sometimes being set apart can feel lonely or demanding on our lives, but a change of perspective really makes all the difference. Paul invites Timothy to view his life's call as one of purpose, honour and beauty. The purpose is what gives meaning and context to the sacrifice that leads to purification. We are living beings and not inanimate objects, so Paul makes it clear that we have a part to play in cleansing ourselves from the filth that would make us dishonourable. This, of course, involves the discipline of drinking in God's Word and being yielded to Jesus Christ, so that we can be filled with the Holy Spirit toward the result of positive change. What type of vessel are you determined to be? PS* I encourage you to check out the entire chapter of 2 Timothy 2 to really grasp the context of the featured verses. Paul also gave other analogies in this chapter that are really illustrative and helpful. Love Truth. Live Truth. Stay Strong.